The award-winning HMM Scissors are sleek and minimalist, bringing a touch of refined style to your work space. Their 2-in-1 design allow the user to simply flip the scissors in order to transform them into a convenient box cutter. A blend of Japanese steel and expert Taiwanese craftsmanship, the HMM Scissors provide efficiency and accuracy with every cut. The wide blades and weighted feel improve control and performance further. A base that incorporates a custom-made magnet allows the user to keep the scissors on display and transform them into a decorative object thanks to their elegant lines. 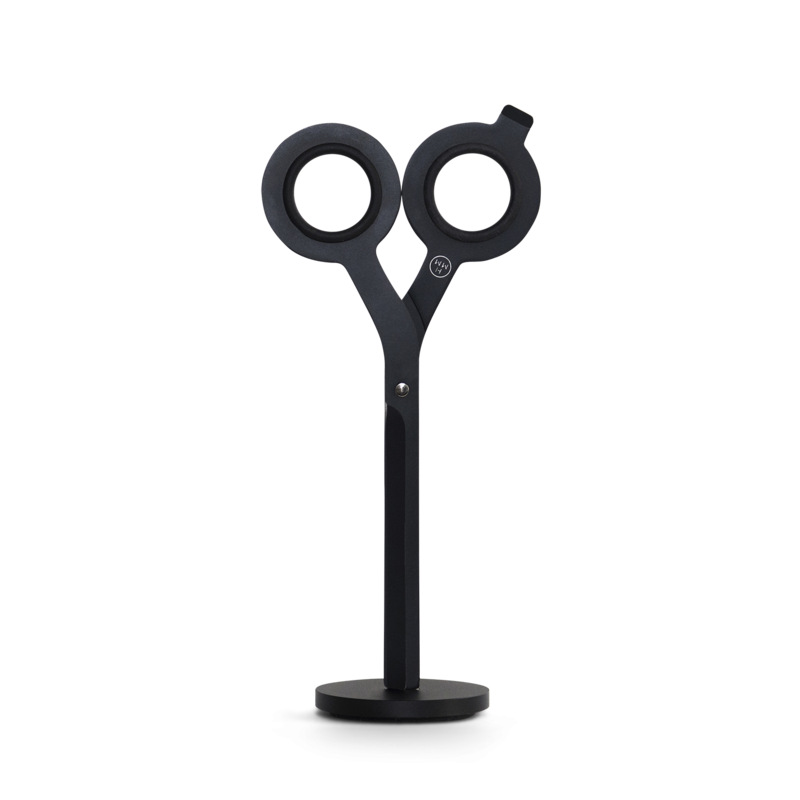 These scissors are crafted from stainless steel and boast a black Teflon coating, while the base is made of milled aluminum. Gessato is an authorized retailer of Hmm products. We purchase all of our Hmm products directly from the company in order to bring you genuine items that represent the best in contemporary design. Every Hmm product in the Gessato shop is authentic, comes with official brand packaging, manufacturer’s warranty (where applicable), and is sold with Hmm's authorization. The minute I received this scissors I loved it. It’s very well designed, sturdy and elegant.